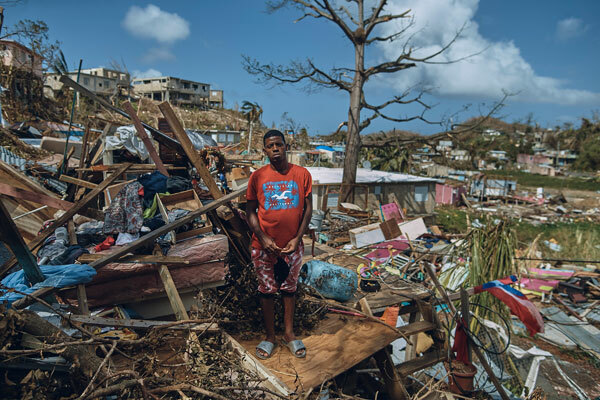 SAN JUAN: The new Puerto Rico death toll estimate from Hurricane Maria a year ago – 2,975, virtually equal to the number killed in the 9/11 attacks in 2001 – comes as support is rising on Capitol Hill for eventually making the 3-million-person commonwealth the nation’s 51st state. The new push for action came after an independent investigation disclosed the new numbers. The study by physicians and investigative staffers from George Washington University in DC “also confirms the need for a 9/11-style investigative commission to conduct a full accounting of why the federal and Puerto Rican governments were unable to save the lives of so many of our fellow citizens,” Mark-Viverito said. That gives a push to the statehood bill H.R.6246, which the island’s non-voting congressional delegate, Republican Jennifer Gonzalez-Colon, filed earlier this year. “Every day, we are closer to culminating the claim of the majority of Puerto Ricans who aspire to a worthy status on an equal treatment with their fellow citizens in the states,” she said in a press conference in late August.